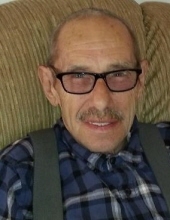 Nicholas Wasersztrum, age 76, of Oswego, IL, passed away peacefully on Saturday, February 2, 2019 at his home. He was born May 29, 1942 in Russia, a son to the late Szloma and Valentina (Miszczenko) Wasersztrum. He is survived by his loving wife, Helen (Czaja) Wasersztrum (whom he married on June 7, 1969 in Chicago, Illinois); his son, Mark (Pasqualina) Wasersztrum; daughter, Alice (Patrick) Caracci; daughter, Barbara Victoria (Douglas) Nelson; his grandchildren: Amanda, Nico and Michaela Wasersztrum, Dylan, Austin and Haley Caracci, Ethan, Caleb and Owen Nelson; and sister, Lucy Broniatowski. Visitation will be held on Wednesday, February 6, 2019, from 4:00 PM until 8:00 PM at DUNN FAMILY FUNERAL HOME with CREMATORY 1801 S. Douglas, Oswego, IL 60543. Mass of Christian Burial will be celebrated on Thursday, February 7, 2019 at 10:00 AM at St. Anne Catholic Church, 551 Boulder Hill Pass, Oswego, IL 60543. Interment will follow at Risen Lord Catholic Cemetery. To send flowers or a remembrance gift to the family of Nicholas Wasersztrum, please visit our Tribute Store. "Email Address" would like to share the life celebration of Nicholas Wasersztrum. Click on the "link" to go to share a favorite memory or leave a condolence message for the family.